This post will review what we know, based on large studies and surveys, about the religious beliefs of scientists. As scientists are generally considered to be highly intelligent, this is an area of research relevant to the central question of this series – are non-theists smarter than theists? This is the second installment of my five part series on what we know (and don’t know) about intelligence and religion. Inspired by questions about and challenges to a video I was in, particularly questions about my statement that the religious are not more or less intelligent than the non-religious. In part one, I introduced the series by briefly discussing some of the very diverse areas of one’s life that are impacted by your religious belief system. As I have previously posted, I did a couple of short videos with Seth “The Thinking Atheist” Andrews on the psychology of belief. Overall, the response has been great so far, with almost 20,000 views in the first 24 hours of release. However, one of those has generated a bit of heat and controversy in the comments section, as several people have questioned my statement in the video that people who are religious are not less intelligent than those who are non-religious. 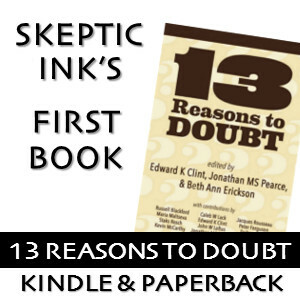 I was interviewed this past week by Seth “The Thinking Atheist” Andrews, who was interested in talking about what psychology has to say about belief. Specifically, we talked about intelligence and religion, biases, babies, and the scientific method. Check out the videos below.